IHG® Rewards Club - Películas - Pac-Man and the Ghostly Adventures: Pac is Back! 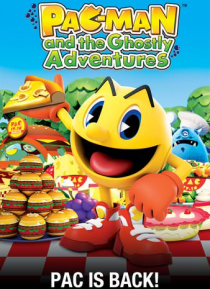 Pac-Man and the Ghostly Adventures: Pac is Back! When an army of ghosts are unleashed by the evil Lord Betrayus, Pac and his friends must enter the Netherworld and save PacWorld before it's too late! PAC-MAN and the Ghostly Adventures is a big, bustling world of action, chills, chases and comedy, starring three unique and winning teenagers who will stop at nothing to protect their friendship, their freedom, and the future!